There were three women that went to design school. Two in the US, the other in Belgium and they were each assigned different areas in design. But I brought them here, and now they are at SXSW to talk about colors. My name is Charlie. That’s how it starts or rather how I adjusted the original copy from the tv series. The three women we’re discussing here are Leslie Jensen-Inman, Veerle Pieters and myself. All three of us are designers and we thought we’d have some fun with the presentation and that’s how our “mission” got started. We split off the topic so that we’d each get a chance to discuss our processes. Veerle did the cover of the slide. My friend Jeremy Swanger completed the video intro for us and Matt Harris was the voice of Charlie. ;) Also a special thanks goes to Chris Moeller. We discussed color theory, internationalization, accessibility, and of course gadgets. 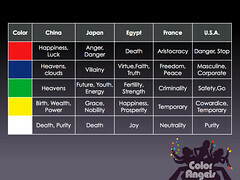 Take a look at the different meanings of color in various countries. Think about who your audience is and what context the colors are in. The hard part of course is that our projects are now on the internet and it can be for an international audience. Think about localizing sites so they are appropriate for the country based on the language instead of location.Colors are culturally influenced. 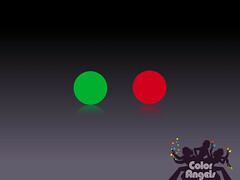 The two colors green and red are a good example. In Chinese and Korean speaking countries green is a negative color and red is a positive color. 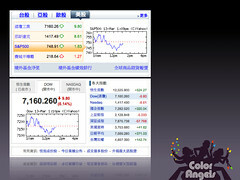 Designing for a finance site for example like Yahoo the charts have to be the opposite of what users would expect in the USA for example. The key here is to know your audience. What if your targeting an english speaking audience but the topic is about culture? Theknot.com’s site is currently in blues and whites but they have a page specifically about Chinese weddings. 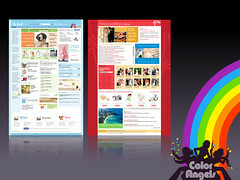 They designed the page around red which is lucky for weddings. White in Chinese cultures is used to convey death, not the message a traditional Chinese bride would want to attendees. Those little details are ways to engage your audience to let them know you are paying attention. Veerle did a blog post about our session and also posted the pdf here if you want the entire set.